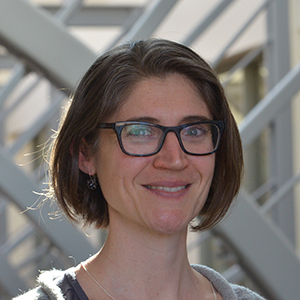 Sarah Woulfin is an associate professor in Neag’s department of educational leadership who studies the relationship between education policy and equitable instruction. Using lenses from organizational sociology, she investigates how policies and organizational conditions influence the work of teachers, coaches, principals, and district administrators in reform. Dr. Woulfin’s work has been published in AERJ, AJE, EAQ, EEPA, Urban Education, and other outlets. In her doctoral work at the University of California-Berkeley, she focused on policy implementation and institutional theory. Dr. Woulfin is an associate editor for Elementary School Journal. She is on Reading Research Quarterly’s editorial review board and reviews for AERJ, AJE, and EPAA. She is the co-chair of AERA’s Districts in Research in Reform SIG. In Neag’s department of Educational Leadership, she is the lead instructor for the UCAPP PLUS program, which develops aspiring leaders in Hartford Public Schools. As a former urban public school teacher and reading coach, she was dedicated to strengthening students’ literacy skills to promote educational equity. As a scholar, her commitment to raising the quality of instruction motivates her research on how policy influences—and is influenced by—administrators, coaches, and teachers.